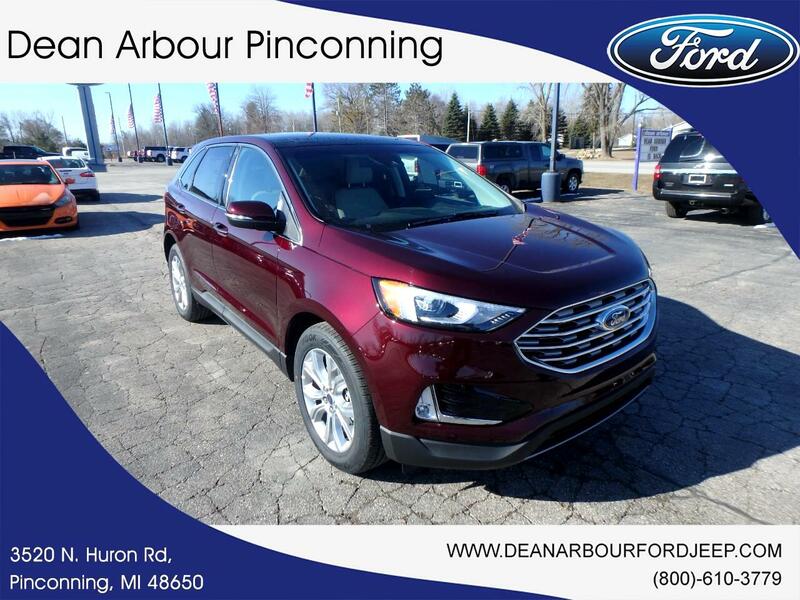 The new 2019 Ford Edge in Pinconning, MICHIGAN was built with the driver in mind. Its a v4 Burgundy Velvet Metallic Tint SUV that can tackle many different terrains. Interested in the 2019 Ford Edge? Contact Dean Arbour Jeep Eagle and schedule a test drive.